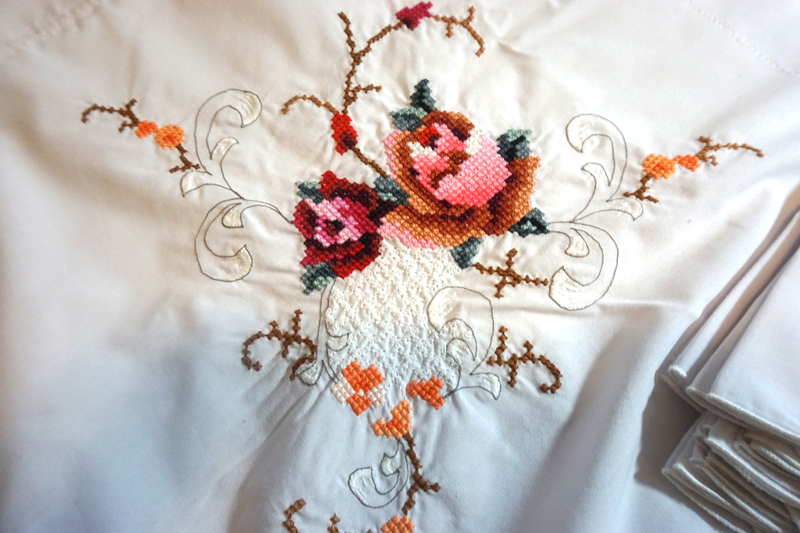 Large cross stitch embroidered ivory tablecloth features a rose theme. 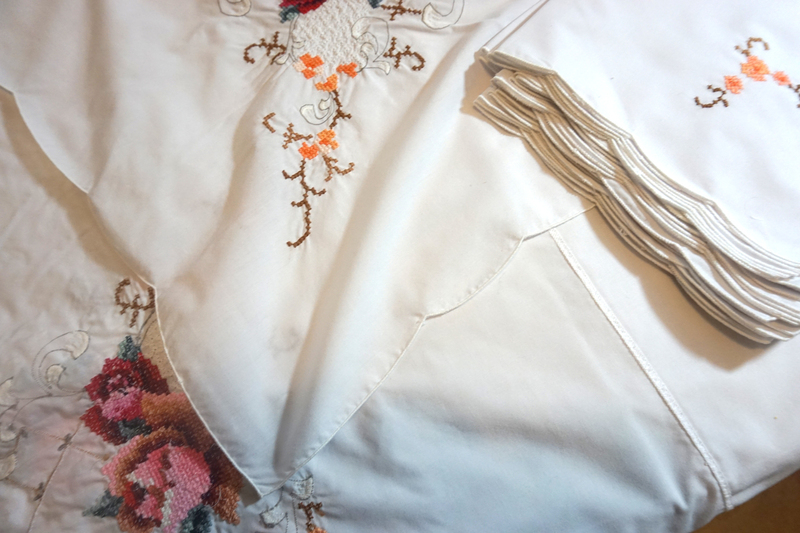 Scalloped edges offer a nice detail. 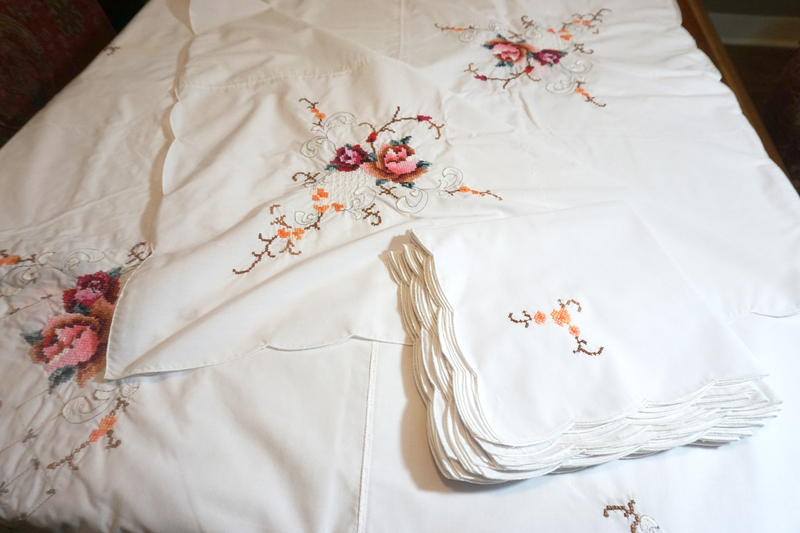 Includes 12 napkins to host a small crowd! Used but of unknown vintage.